Each page of the Blaze Prayer Journal contains a Bible verse and the acronym, “ACTS: Adoration, Confession, Thanksgiving, and Supplication.” The journal features space to write prayers in each of these sections after reading and reflection. Girls will learn how to share their thoughts and feelings with God by writing out their daily prayers. 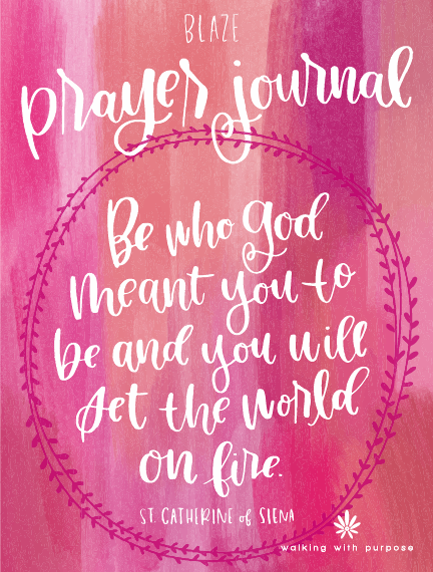 The Prayer Journal is included in “The Blaze Kit” but it can also be purchased separately.